My E-friend and trimmer, Maureen Tierney, has just published Natural Barefoot Trimming: The Hoof Guided Method. She began this journey like so many of us. In 2001, Maureen stumbled on Jaime Jackson’s book in the Loveland, Colorado public library. Then she went on to the Internet to learn more, joined some chat forums and began trimming her horse. Many more books, DVDs, associations and clinics were to follow. After 5 months of trimming her horse, she wasn’t satisfied with the results, “I was discouraged — I didn’t see any significant change in my poor horse’s feet, nor was he any sounder, though he wasn’t any worse — a fact for which I am grateful beyond words now.” Here is where her story takes an interesting twist. In spite of what others told her to do — Trim More Hoof — Maureen trusted her instincts and stopped trimming all together! 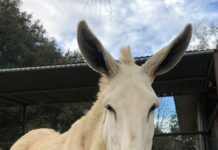 A few weeks after she stopped trimming, she recounts how she truly began learning what the hoof wanted. What a concept! Focusing on what the hooves wanted not what we bipeds think they should look like. 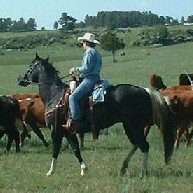 In July, 2002, Maureen purchased a second horse, Huey. “I wanted to record how the feet trimmed themselves without any human interference. The idea came to me when I went to give him his first trim (August 4, 2002), and saw that the bars, that had once covered the entire sole when I first saw him, had already begun to self-trim.” 18 days later, Huey’s frogs looked much better, the false or retained soles had exfoliated on their own and the bars reduced significantly. Except for riding him during that time and 24/7 turnout, Huey was in charge. Neither rasp, knife nor nippers touched his hooves. Photo 1 August 4, 2002. Photo 2 August 22, 2012. By September 2nd, 29 days later, the bars retreated to a near normal position. Remember, initially they actually covered the entire sole. The soles fully exfoliated on their own, revealing a smooth, concave surface. The frogs continued to improve. Yes, the toes are long and some of the walls are too high. But consider all the changes Huey made by simply self trimming. He was sound throughout. Photo 3 September 2, 2012. Of the trimmers I know, only Dr. Tomas Teskey supports self trimming as the primary hoof trimming method. Until now, I credited Dr. Teskey’s success to the harsh terrain and hard work his horses deal with on his Arizona ranch. But Maureen now lives two hours west of Lexington, Kentucky, where it is often soft and damp. And most of her forever herd of ten aren’t in work. 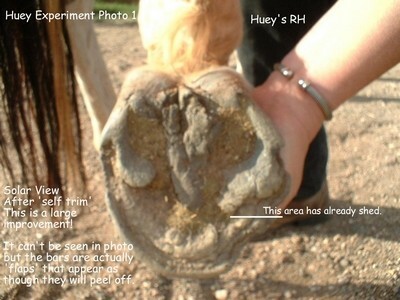 How Fast Can a Hoof Decontract? Some of the case studies in the book are presented in even greater detail on her site, Natural Barefoot Trimming: The healing power of nature. If you are curious about the HGM of trimming, Maureen will continue blogging on her site. The HGM works on all manner of horse: young and old; huge, tiny and in between; healthy and pathological; sound and lame. In the end, it all gets down to results. Her client horses are sound, no excuses. Foundered horses are recovering quickly with the trim and the necessary change of diet. 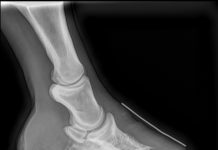 ‘Navicular’ (I hate that term) horses enjoy a heel first landing after years of toe first, ouch! How often have we heard excuses about why a horse is sore after a trim? It is unfair and indeed cruel to sore a horse in the name of rehabilitation. Sore = Mistake, IMHO. Because the HGM is easy to understand and apply, owner-trimmers and newbies, my favorite people, will love it. If you are an experienced trimmer, I can already feel your hackles as you looked at the photos above. None of us are used to leaving a horse with such a messy foot. Still, I hope you will put your assumptions aside and see if even some of Maureen’s suggestions might work for you. The transition may not be as pretty as you are used to, but the end result may just be better? Better results means happier horses. That is something we can all agree on. Every professional has a horse or two who just isn’t coming along in the rehab process. May I encourage you to give the HGM a try for a few months and see what happens. Even send Maureen an e-mail or give her a call if you want to forgo the book purchase. What do you have to loose? I saw improvement with my OTTB in 2 weeks. The back of his foot further decontracted and I had to remove the Power Straps on his Easy Care Gloves! Another 2 weeks later his long and low right front foot shortened from a size 2 to a 1.5! Our journey continues. I don’t mind hawking Maureen’s services as they are so modestly priced. She is really about helping horses. End of discussion (I have no $$$ interest in any of this! Just interested in happy horses). 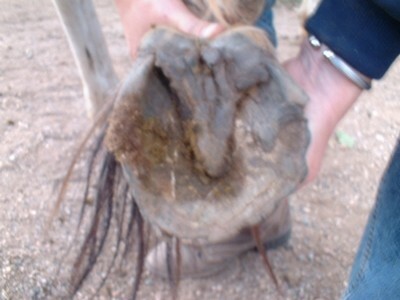 Natural Barefoot Trimming: The Hoof Guided Method is available on Amazon Prime. Yeah! No shipping costs if you are a Prime member. If you are not an Amazon Prime Member, this location may offer a better deal. Compare shipping costs. Natural Barefoot Trimming: The Healing Power of Nature is Maureen’s web site. Among her many Services, Maureen offers e-mail evaluations and recommendations for your horse’s hooves, an online course, clinics at her farm in Kentucky, away clinics, and other educational products. Maureen just joined Facebook in October. Friend her! 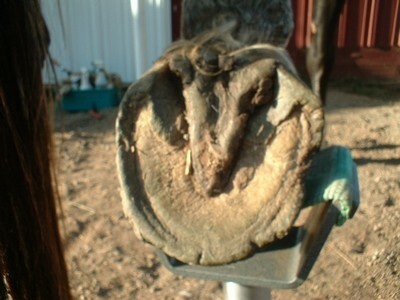 Natural Barefoot Trimming: The Hoof Guided Method is also on Facebook, because every book should have it’s own Face. Friend me. And don’t miss The Racehorse Experiment, where Maureen follows the natural rehabilitation and barefoot racing of several horses at her farm, Wild Dreams. Your questions and comments are welcome and encouraged.